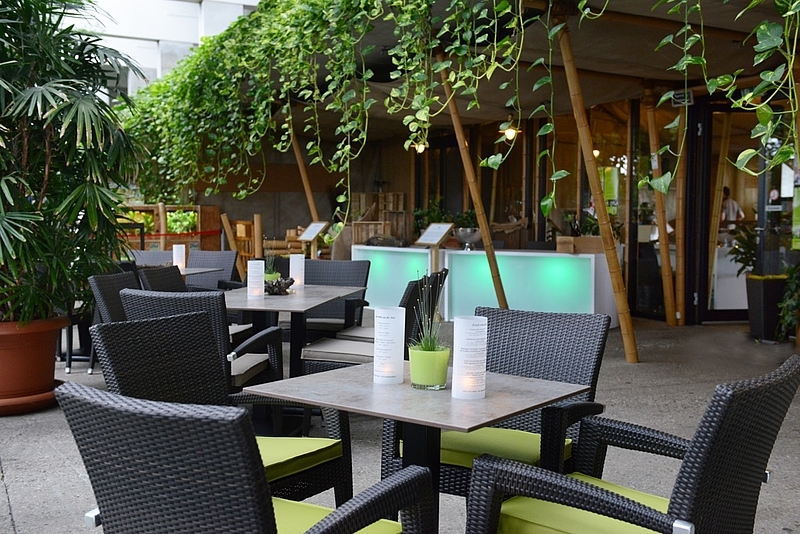 The indoor terrace allows guests to experience a tropical storm with thunder, lightning and rain. The indoor parquet floored area is air-conditioned and perfect for buffets and bars. It can also be used as a dance floor. 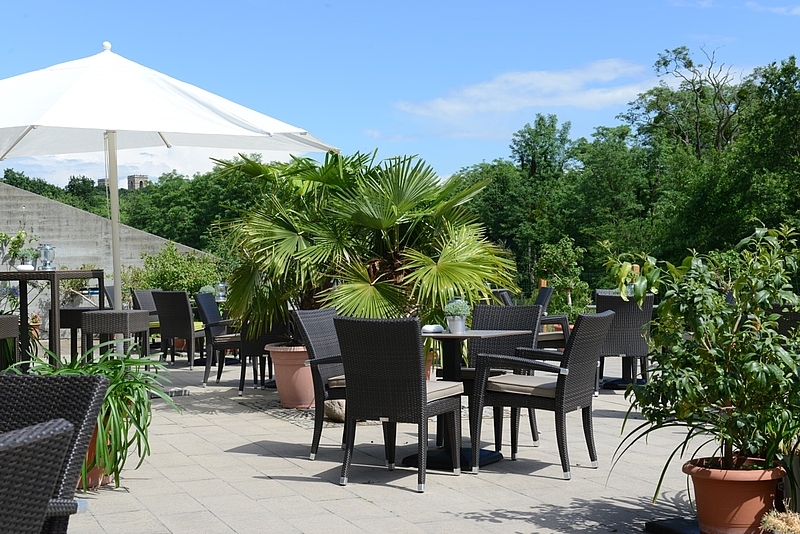 A generous sun terrace with partial canopy is connected outside. 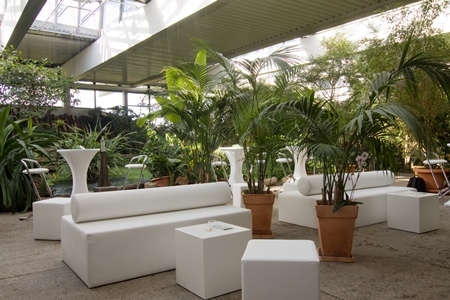 Depending on the type and size of the planned event, the café can also be used in combination with the “Orangery” Event Hall. We are happy to explain the options to you.